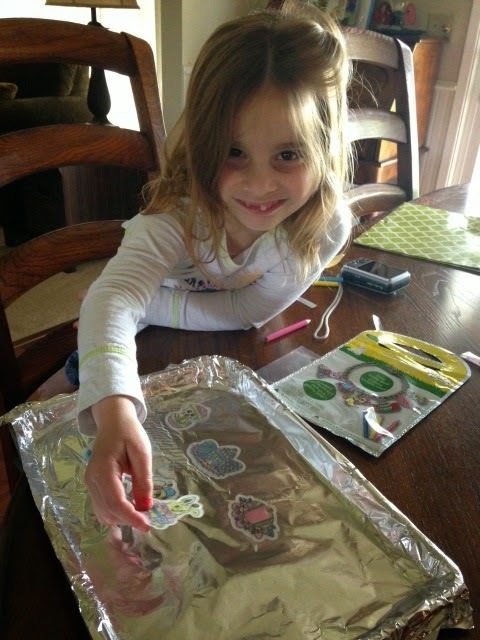 When the days are grumpy, there aren't many activities you can do outside, and since it is Easter, I asked my cousin Isabelle if she would like to dye Easter eggs with me and she was very excited. I bought the PAAS kit, and I bought extra vinegar, and headed off to my aunt's house. 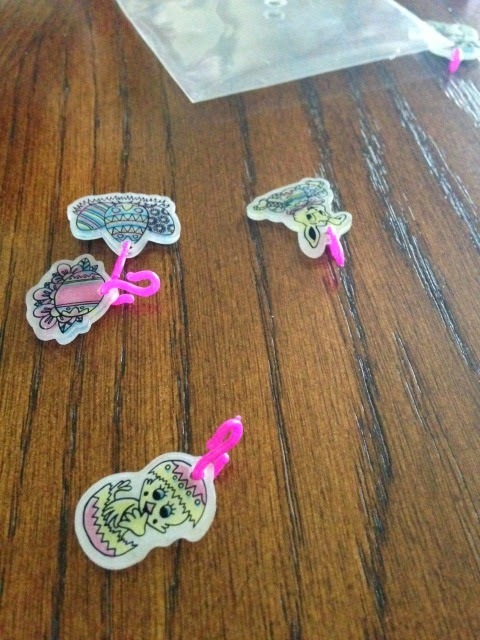 While we were boiling the eggs to prepare them to color, Isabelle and I made a Shrinky-Dink charm bracelet with Easter themed characters. 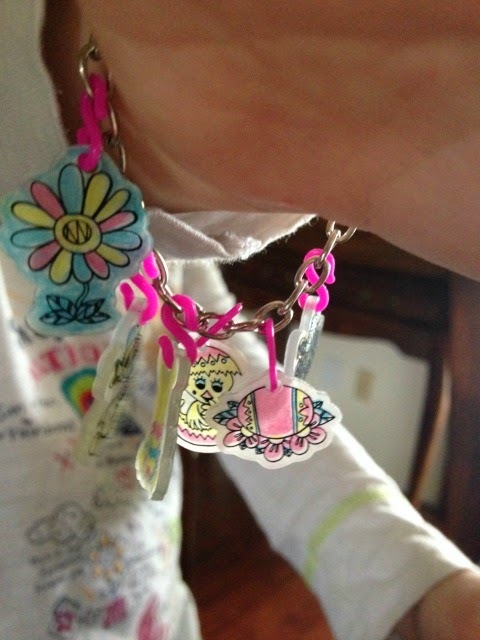 It was a fun experience to do with Isabelle, coloring the Shrinky Dinks, and baking them, and putting them on the charm bracelet, it was a very fun pre-egg project. 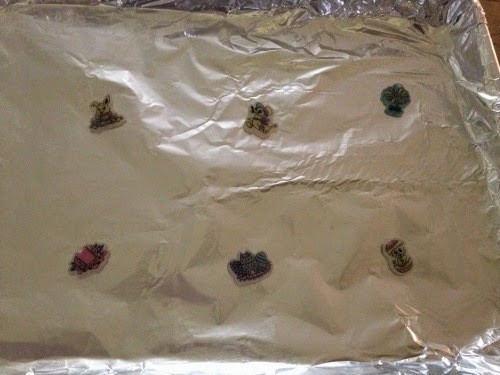 After watching the little plastic Shrinky Dinks shrink up in the oven, the eggs were almost all the way cold, so I decided to get the colors ready in the glasses, and prepare the dining room for dying eggs, laying down plastic on the table and removing the rug under the table, and putting place mats underneath. 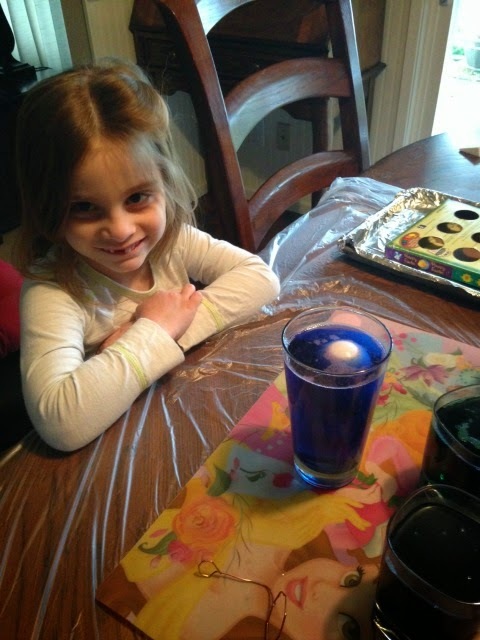 Isabelle was so intrigued with how the tablets released the color in the vinegar and how the vinegar changed into those vibrant colors. 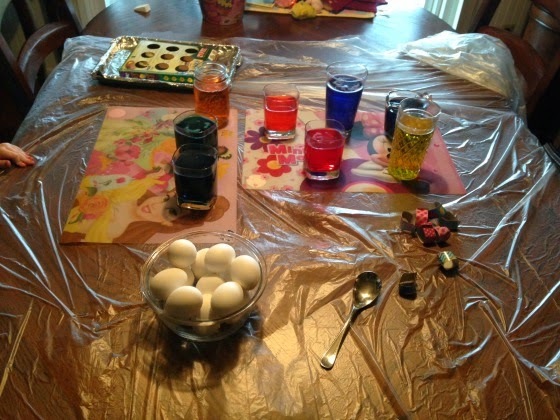 We set up the table with the eggs ready to be colored. 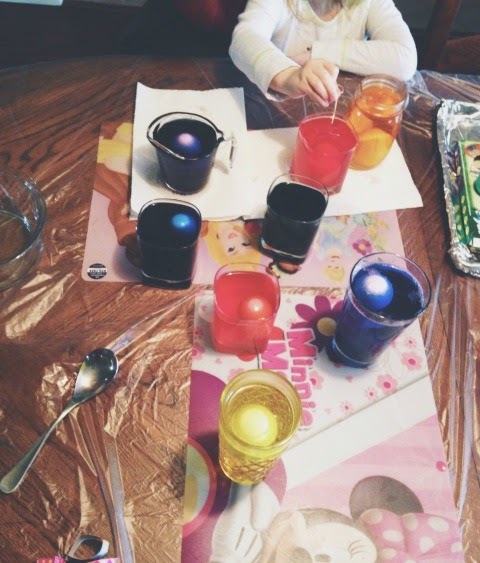 She was so excited, and started picking out bold colors to dye her eggs in. 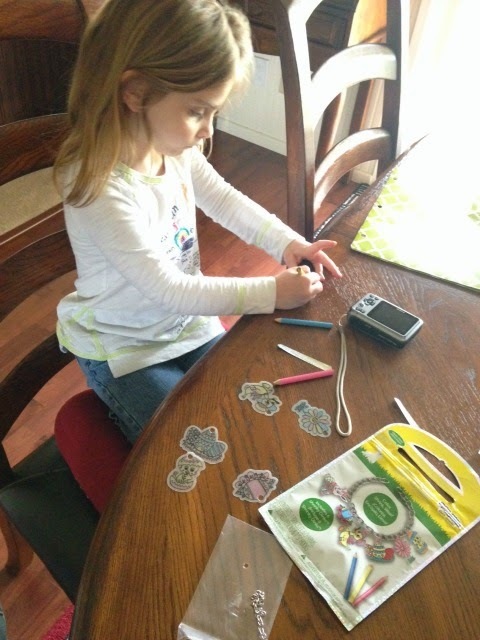 She picked red, blue, green, yellow, orange, and purple, and another blue--Denim. 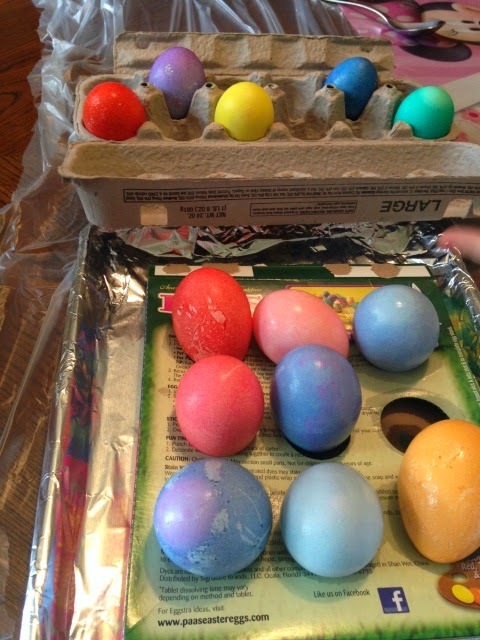 Isabelle's eggs were so bold colored, they were beautiful and so colorful. The green one turned out so well, it is really eye catching. All of the eggs turned out so beautiful. 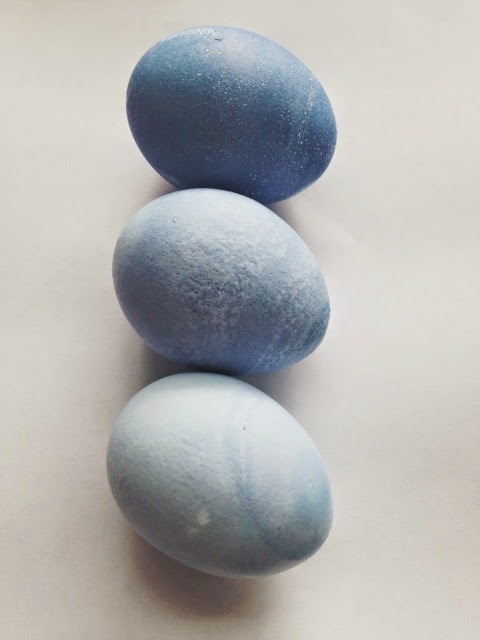 I was inspired my a pin on Pinterest, I dyed my eggs in an ombre pattern, each egg lighter than the one before. 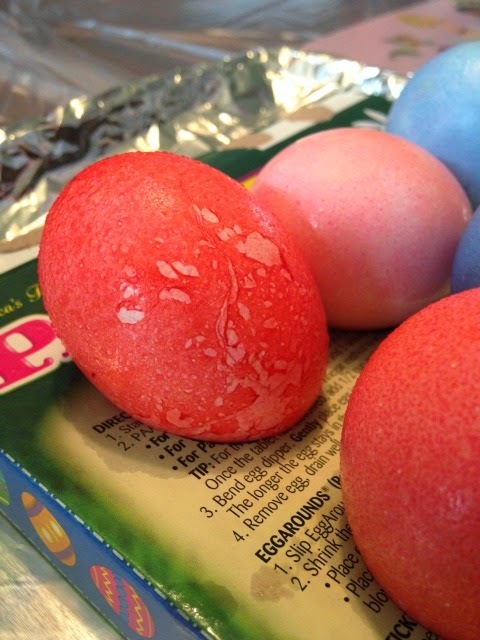 I did pink and blue ombre Easter eggs, and they turned out lovely. 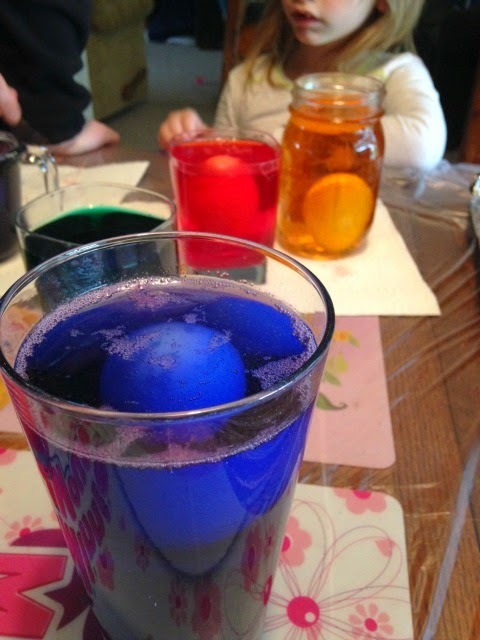 After we dyed the Easter eggs, we watched Frozen. It was a lovely end to such a fun day. I love spending time with my cousins. They are adorable, and so fun to do projects with. 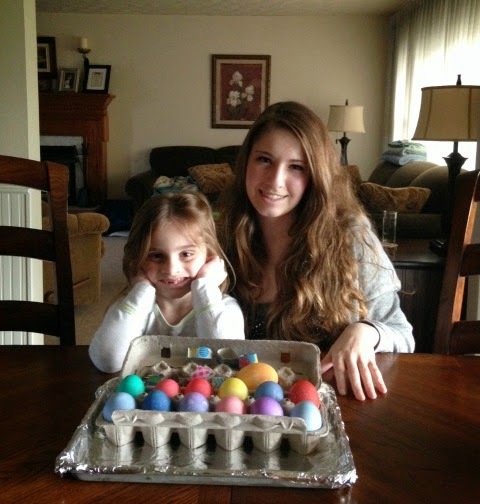 This was Isabelle's first time dying Easter eggs, and I am so glad that I was able to share that experience with her. 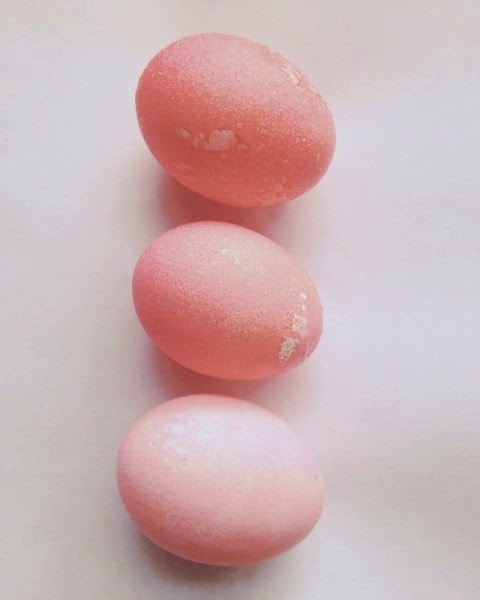 Our eggs turned out beautiful! 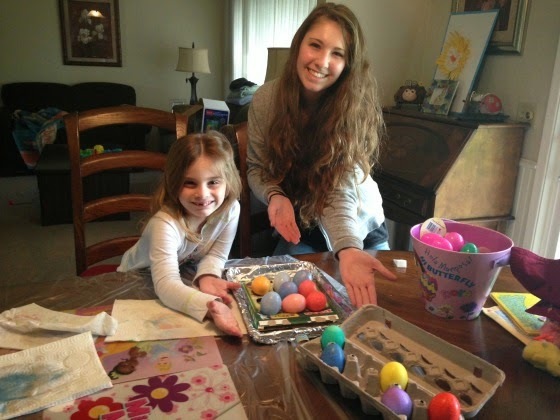 Such a fun Easter tradition.